Minister of Information and Communication Technology, Stanley Simataa, officially commissioned two of the Mobile Telecommunications Limited (MTC)’s new 14 new network sites in the Kavango West and Zambezi regions last week. 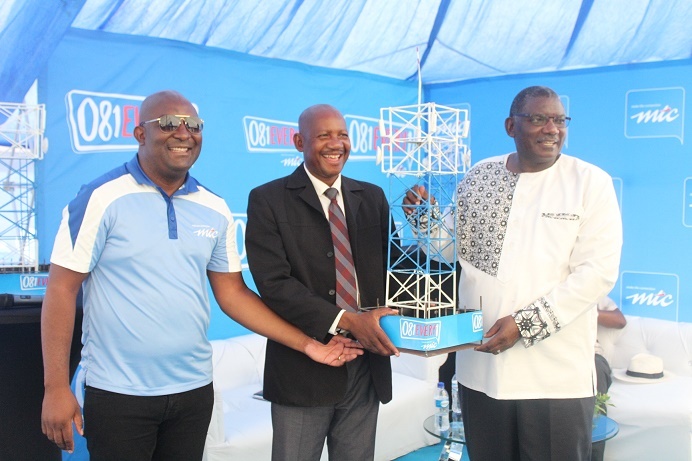 The Kavango West towers were commissioned on Thursday, while the Zambezi towers were commissioned on Friday. The network sites, equipped with 3G technology, are newly constructed as part of the MTC’s 081Every1 project, a nation-wide undertaking that is planned to achieve 100 per cent population coverage. Simataa, according to a statement availed to Nampa on Sunday by MTC, said that network infrastructure is quite significant as it permits the government to provide digital services to the people and the government therefore has a duty, through MTC, to take network coverage and connectivity to the people, especially to remote areas and bring about inclusivity. Commending MTC for what the 081Every1 project has achieved thus far, Simataa also urged the communities to embrace the infrastructure for digital transformation and smart business activities. “Namibia needs to be a smart nation and this can only be achieved if we integrate everyone and embrace the digital movement. Only then we can cease the existence of digital divide through sustainable and inclusive innovations and modern infrastructure,” Simataa was quoted as saying. The statement further said MTC’s Chief Technology Officer, Licky Erastus expressed that as Namibia’s leading telecommunications services provider, MTC will continue in its aggressive objective to ensure that Namibia is hundred percent covered in terms of network. “Our commitment to this cause is tight and we are proud with what we have achieved thus far, and we will continue to be visible as phase two of the 081every1 project is already planned to start early in April,” Erastus said. Meanwhile, another seven network sites were also commissioned in the Kavango East Region during the week.